Erica has worked on the Munich Re Programme at the Centre for Climate Change Economics and Policy. 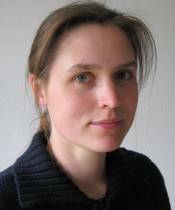 Her research interests focus on how to identify meaningful and useful projections of future climate, how different types of model output can be used to inform these projections, and how to think about uncertainty. She looked at some of these questions in the context of North Atlantic storms for her PhD at Imperial College. Erica’s background is in the physical sciences, having studied physics and mathematics at Cambridge University. Erica has also worked for the UK Energy Research Centre on an assessment of global oil depletion and for the Grantham Institute at Imperial College as a research assistant in climate policy. She is also interested in climate and energy policy and the role of scientific advice in policymaking. Grantham Workshop - Erica Thompson - "2050 Global Calculator preview: challenges of providing climate information for decision-makers"
Erica Thompson, an Associate Researcher at the Grantham Research Institute will be the speaker for this seminar.